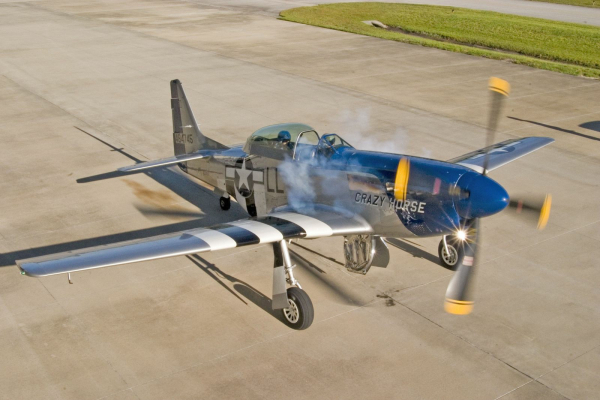 This is a WW II fighter plane that I flew back in 2005. It's a 1944 P-51D Mustang converted over to a TF-51 dual cockpit trainer. I flew it with Ed Shipley of The Horsemen.